Wipe the sartorial saliva off your face, find your local stockist and pick up a copy of the inaugural issue of Hypebeast Magazine. 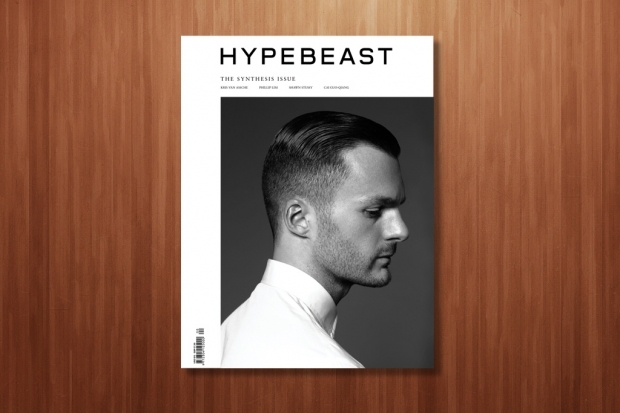 Online style Juggernaut, Hypebeast launched and released their hardcopy magazine yesterday to critical acclaim. It's already sold out on their online store, and 200 pages at US$12 a pop is a decent price. The first issue dives straight into, covering everything from canadian jazz group BADBADNOTGOOD (Tyler collabs) to Dior Homme figurehead Kris Van Assche. Looks from Adam Kimmel to Supreme and features on Jason Dill and chinese artist Cai Guo-Qiang. If you're in Melbourne, head down to McKillop St and venture up a hidden stairway to Up There Store to grab a copy.